something that's been bugging me for a while: how can you convert values from ticks to ms and back? useful for envelopes and such, i find myself wanting to do it all the time but can't figure it out. it's got to be some simple math based on tpb/bpm. Cheapo Statistics are your friend. sounds like a plan. do you have a link to the machine? it's not on buzzmachines and google was no help. You still learn new things, even after years of Buzz use/abuse. Thanks! LoadLibrary("C:/Program Files(x86)/Jeskola/Buzz/Gear/Generators/cheapo statistic.dll") failed. the specified module could not be found. LoadLibrary("C:/Program Files(x86)/Jeskola/Buzz/Gear/Effects/cheapo statistic.dll") failed. the specified module could not be found. does it need to be in a different folder? the readme is unclear on this, i assumed it would go in effects. i'd really like to be able to just figure it out on paper, i don't necessarily need another machine for this. my math skills are not very good (something I'm working on fixing ), so this is the sort of formula i'm thinking of. obviously, my brain gets stuck at figuring out where to look for the ms value i need. 128bmp * 8tpb=1024 tick per minute. I have never really had to use it for this but 1/f=T is used much in electronics like for an example. 1/1Hz=1sec or 1/50Hz=20ms per cycle . Edit: I forgot to do the conversions back and forth. I'm not really used to explain my calculations just showing the math behind the result so some things may be a little unclear to the reader. this is exactly what i was looking for, i really appreciate it! I love buzz. the music program where the musican has to have a PhD in mathematics. It should be in the effects folder. I think some plugins like cheapo's need other dll's in order to work. I don't have these problems myself, because I also installed old buzz 1.2 (in a seperate folder!). I guess you need msvcr70.dll , but I don't know what the safest way is to try dll's. edit: now where's my PhD !? but http://musiccalculator.com/ has much more options. The funny thing for me is that I actually had to use more math using FT2 than Buzz because FT2 did not stretch the samples to FF or 80(like Pro2 and 4 does). So the next beat in FT2 for a 4 beat sample could be like 2C and then next beat was then 58(and if you had to timestretch anything. Oh bother). But in buzz it was 40 than 80 or 20 then 40. Much easier. 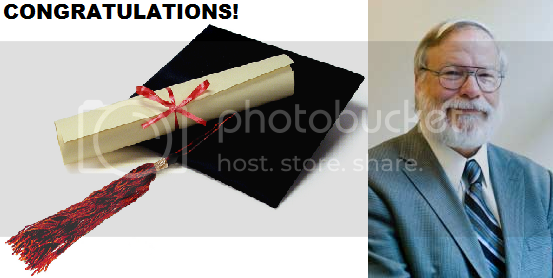 for summarizing that so beautifully, i hereby bestow upon you the first ever and only honorary phd from the non-accredited unincorporated university of szashareen state LLC!